On paper, the Ice Golem is a nice addition to the Frozen Peak cards that already include the Bowler, Ice Spirit, and Lumberjack. Theoretically speaking, these are things you might all see on a frigid mountain, sure. But at 2 elixir, this is not a card you’re going to build your deck around. 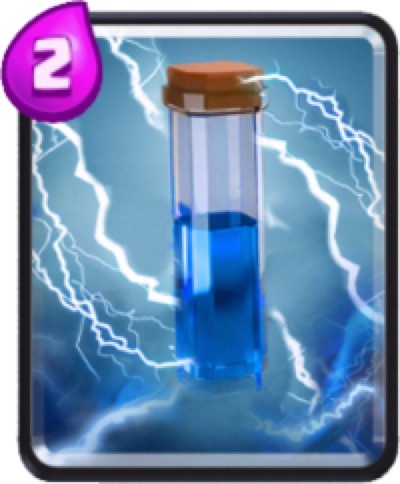 That’s OK – the same could be said for Zap, Fire Spirits, or Ice Spirits, which are very popular in Clash Royale. The Ice Golem’s main objective – well, it’s only objective, really – is to get to your opponent’s tower and smash away. But at 1000 HP (level 6) and a speed of Slow, you’ll be lucky if it makes it there at all. When it does, it’s only dealing 24 damage/second, which is far less than, say, a mid-level Skeleton or Guard. Luckily, once it dies it causes mild proximity damage and will briefly slow towers/troops on your opponent’s side. That’s not nothing! Early on, you’ll see one glaring reason as to why Ice Golem is difficult to properly use. While the Ice Golem is cheap and has an HP-to-Elixir ratio only rivaled by the Giant, since it only targets buildings it will immediately make its way AWAY from the base as soon as you drop it. It won’t fight on your behalf, and it will merely serve as a distraction while your other troops and tower try to defend as well as possible. It could draw troops away from your base, which is good, but if your opponent is in the middle of a big push, your Ice Golem won’t last long and you might not make much of a dent in that push. And most frustratingly, Ice Golem is a terrible defense against troops that also do not attack other troops, like the Royal Giant, Giant, or Hog Rider. There’s nothing more frustrating than watching a marching Giant walk right past your Ice Golem to lay waste to your tower. As I mentioned before, Ice Golem won’t work as a defense against Giant, Royal Giant, or Hog Rider. (I feel weird not writing it out as “Hoooog Riderrrrr!”) Obviously it’s worthless against air troops like the Baby Dragon, Lava Hound, or Minions. So let’s talk about potential card pairings. Early into the Ice Golem rollout, this one seems to be popular. This is a relatively cheap push, with Ice Golem costing two elixir and Mini-PEKKA just costing four. By my estimation, even if you manage to get one Mini-PEKKA whack at a tower, that’s definitely worth the six-elixir investment. Consider having Arrows or Zap at the ready in case your opponent decides to counter with a swarm of Skeletons, Goblins, or Minions. If you’ve got a full bar of elixir, add a Wizard or Hog Rider to your push for further damage. During an opponent’s push, it might be an efficient use of elixir to lay down a Poison slightly in front of your base with an Ice Golem right in the middle. Your opponent’s troops will hound the Ice Golem and be drawn towards the epicenter of the Poison spell, maximizing its damage. (Note that the troops will be slowed to the level of the Ice Golem – Poison and Ice Golem unfortunately do not have additive slowness.) 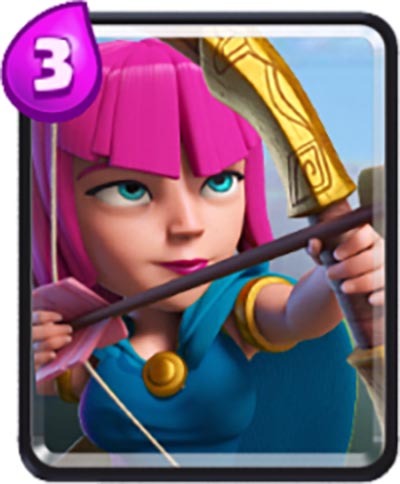 Add a cheap additional troop, like Princess or Spear Goblins, to prep you for a counter-push. Here’s an interesting one, and it might take some practice to pull off. Here’s how it works. Essentially you want to lay your Ice Golem down as close to your enemy’s territory as possible and then immediately lay a Prince or Dark Prince behind it. 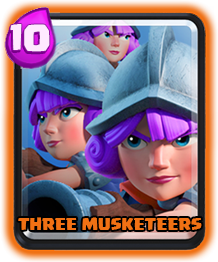 You’ll want to do this with no enemies in the way and with enough elixir to play both troops in succession. But the result should be that the Prince/Dark Prince will push the Ice Golem straight to the tower, with the Ice Golem acting like a linebacker, absorbing all the damage along the way. If you can regularly pull this off (and it shouldn’t be too difficult), you can maximize the use of your Prince card while nullifying one of the main drawbacks of the Ice Golem – it’s too slow! This is definitely something to consider if you commonly use a deck featuring the Prince, Dark Prince, or both, and have a card that’s worthy of swapping out. The Golem and Ice Golem seem like a natural pairing, so why not try it out in the real world? I did, actually, and the results weren’t bad. Ice Golem absorbed enough damage to get my Golem even further towards the tower that I really got a lot of bang for my buck as far as the Golem is concerned. Follow it up with the Princess or Fire Spirits if you think your opponent’s counter might be a swarm troop of some kind, like Goblin or Skeleton. Well, that’s it for the lowdown on the Ice Golem. 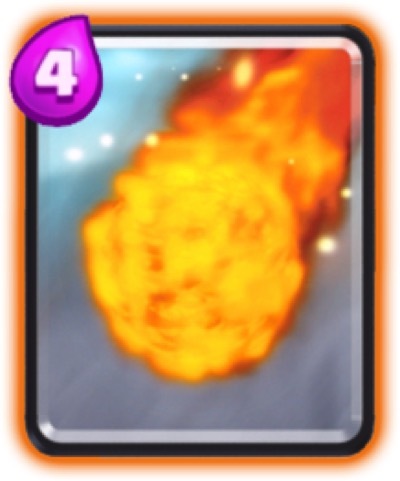 As you can see, it’s not a real game changer for Clash Royale but like other low-cost cards like Fire Spirits or Ice Spirits, it could really be of value in certain decks that might need the versatility of a low-cost tank. Look out for it in matches and see how it’s used as players find ways to maximize its value.